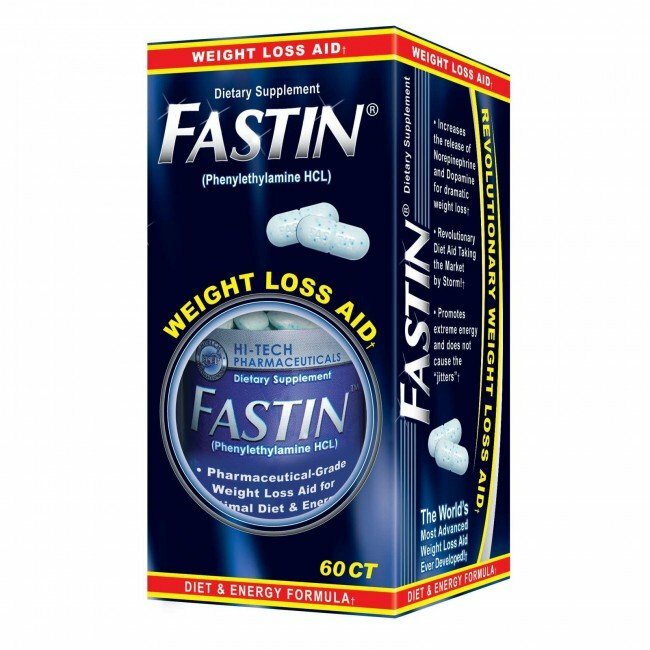 Fastin, the original phentermine pharmaceutical, was previously only available WITH a medical prescription. The new, safer weight loss product is now approved for over the counter sale. The product was prescribed only for individuals who are at increased medical risk because of their weight. It works by helping to release specific chemicals in the brain that control appetite and it also stimulates certain areas of the brain to produce a heightened sense of alertness and an elevated mood. Are you sick of extreme Thermogenics and lousy Fat loss pills and Fat burners that promise big results but leave you with bad results and little more than a jittery, on the edge feeling? Then the Fastin formula by Hi-Tech Pharmaceuticals may be for you! 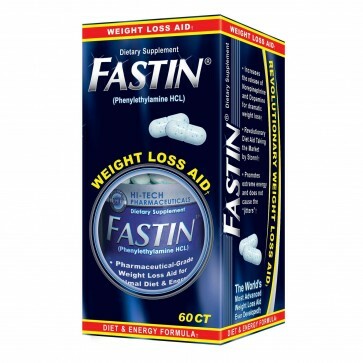 Fastin was categorized as a sympathomimetic appetite suppressant, known for the short-term treatment of obesity. Sympathomimetic appetite suppressants can help you to lose weight while you are learning new ways to eat and to exercise. Changes in eating habits and levels of activity must be incurred to benefit fully from Fastin. Fastin was previously available ONLY through prescription. But no longer! It is now 100% approved for over the counter sale. Fastin was prescribed only for individuals who are at increased medical risk for health conditions related their weight. It works by helping to release certain chemicals in the brain that control appetite, and it also stimulates certain areas of the brain to produce a heightened sense of alertness and an elevated mood. Fat Loss, Better Mood, and More Energy? Sounds like our kind of supplement! Fastin is a thermogenic intensifier for resounding Energy and Fat loss. This product contains a proprietary blend of Hi-Tech's most potent Herbal Stimulant compounds. At the heart of this herbal phenomenon are Phenylethylamine HCL and its molecular derivatives, including methylphenylethylamine and methylsynephrine. It is a true "feel good" product, whose Stimulant effects are rapid, yet exceptionally smooth and clean. So lose fat while you ride a good mood, high-energy wave throughout the entire day! high cholesterol, or diabetes who want to lose some of their fat/weight. of how much weight you'd like to lose. selegiline (Eldepryl, Emsam), phenelzine (Nardil), rasagiline (Azilect) or tranylcypromine (Parnate) within the past 14 days. Do not take more than the recommended dosage. lunch. Do not take it in the evening, as it could interfere with your sleeping schedule and cause insomnia. People who are having trouble with the product are having a reaction to the Yohimbe. Best diet pill on the market. However, high in caffeine. I would definitely recommend this product. I have used it for awhile now (on and off) and keep coming back to it. Results good as I expected. Did not like how it made me feel. It is the best diet pill that I have ever used. High powered - Worked for me ! The pills didnot work. They are too big and they change color for 50.00 that is not right for no one to paid for pills that dont wofrk.